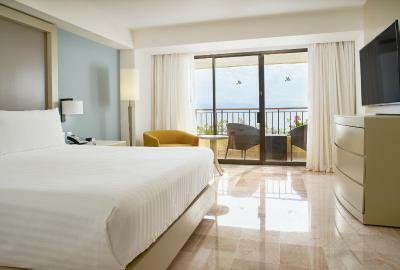 Lock in a great price for Marriott Puerto Vallarta Resort & Spa – rated 9 by recent guests! The location and views were excellent The staff was fantastic and our stay was great. The restaurants are also well placed and very good. 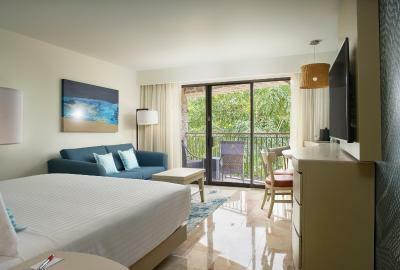 Perfect location with a gorgeous beach and huge pool - close enough to Vallarta Marina and the town for restaurants etc. The hotel restaurants were amazing, particularly loved Micado for a change of cuisine. Very well looked after, impeccably clean and a really impressive hotel in general, we'll be back! The views were beautiful, the food was good, and the staff was very helpful/ friendly. The standard of decor The rain fall shower and free toiletries! 2 bottles of water every day Free coffee in the room! The beach views. The staff was very friendly, everything was beautiful. We loved our stay! Property is absolutely beautiful and staff were very accommodating and friendly. 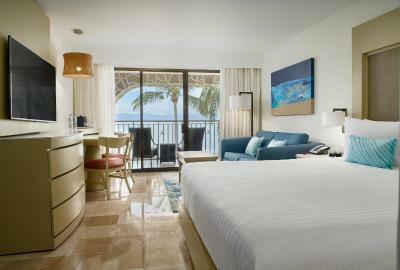 Ocean views, clean, attentive staff, warm pool, easy beach access, easy access to marina restaurants. The bed was just what we needed. Nice and spft.Very nice place. The staff was very friendly, spoke English very well and very knowledgeable. The room staff were very pleasant and did an excellent job. Room and entire property is very clean and well maintained. Every staff member was helpful, cheerful, and pleasant. 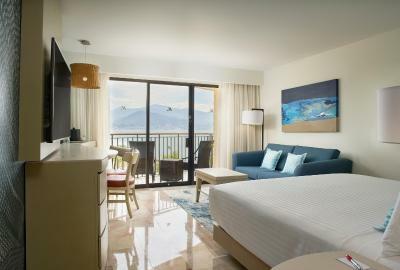 Marriott Puerto Vallarta Resort & Spa This rating is a reflection of how the property compares to the industry standard when it comes to price, facilities and services available. It's based on a self-evaluation by the property. Use this rating to help choose your stay! 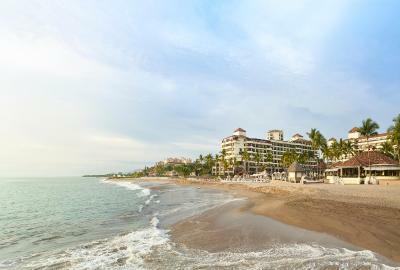 One of our top picks in Puerto Vallarta.This luxury resort offers a private beach area and an infinity pool overlooking Banderas Bay. 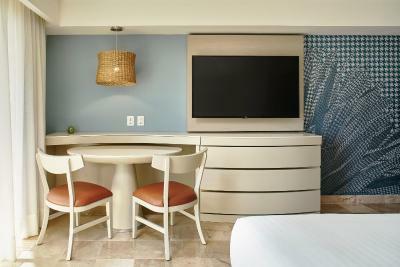 Each spacious room includes flat-screen satellite TV, an iPod dock and views of the gardens or ocean. 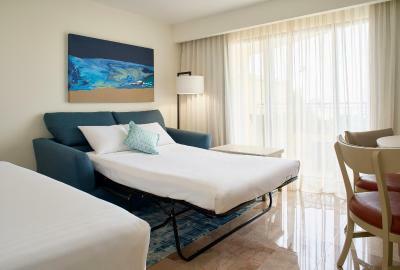 The air-conditioned rooms are decorated in bright colors. They include a seating area and a free safe. 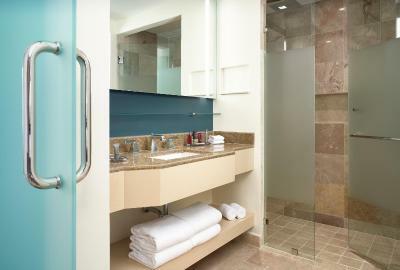 Bathrooms come with amenities and bathrobes. 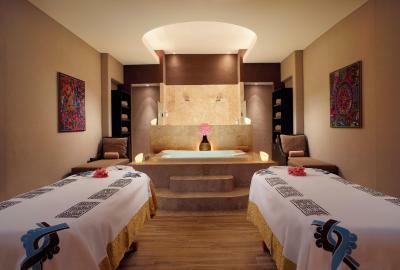 Guests can book treatments in the Ohtli Spa. 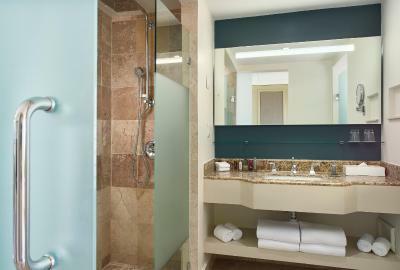 It includes an indoor pool, hot tub and steam bath. The resort also has a gym and tennis courts. The resort is located next to Marina Vallarta Golf Club. Puerto Vallarta International Airport is just 1.9 mi away. 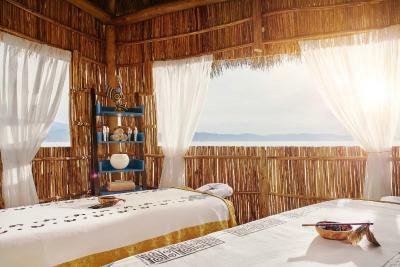 The center of Puerto Vallarta is a 10-minute drive away. 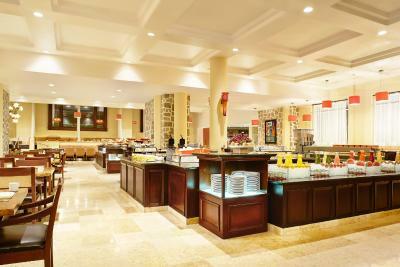 The hotel’s 4 restaurants offer a wide variety of cuisine, from Japanese sushi to traditional Mexican dishes. 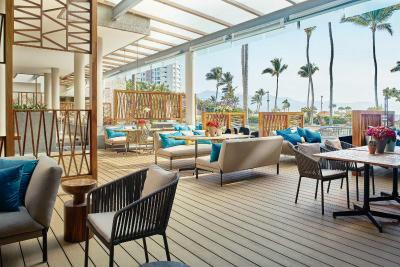 The Lobby Bar serves tapas and cocktails and has panoramic ocean views. 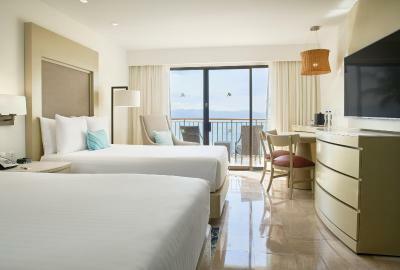 Marina Puerto Vallarta is a great choice for travelers interested in relaxation, restaurants and friendly locals. 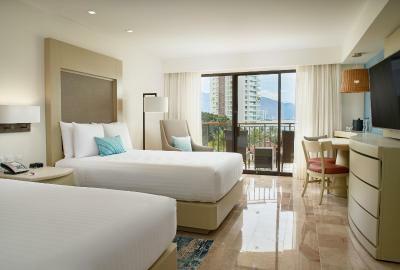 When would you like to stay at Marriott Puerto Vallarta Resort & Spa? 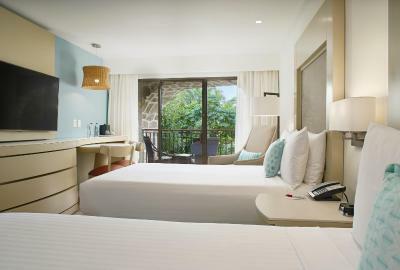 This spacious room has views of the gardens, a sitting area and a coffee maker. Wireless internet is available for a fee. 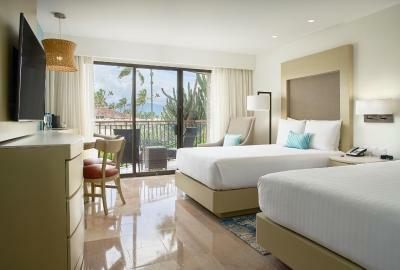 This spacious room has views of the Pacific Ocean. This spacious room offers pool views. 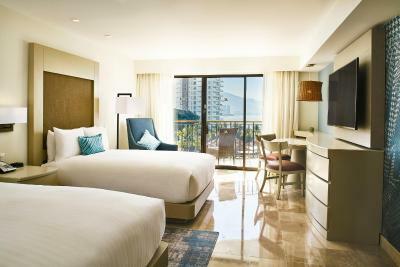 This suite has air conditioning, heating, a sofa, iPod dock, flat-screen cable or satellite TV and a balcony. 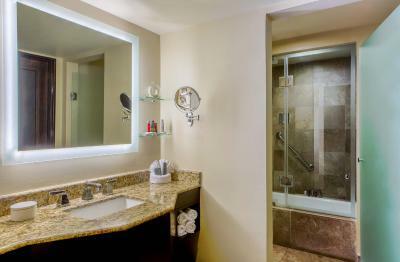 The bathroom has bathtub or shower. This suite has a balcony, cable TV and private entrance. 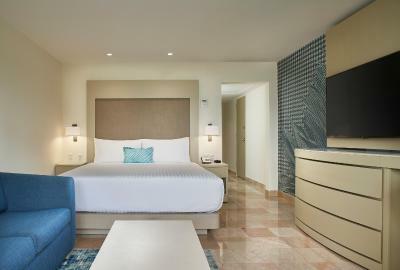 Make memories that last at CasaMagna Marriott Puerto Vallarta Resort & Spa. 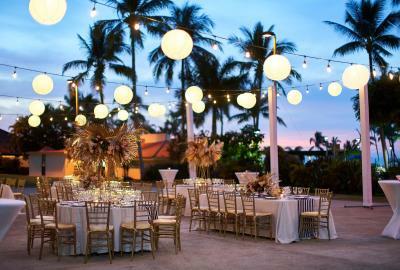 Our Puerto Vallarta hotel is located on the beach beach, offers luxurious guest rooms, four renowned restaurants, a full-service spa, modern gym, pools and 8,900 square feet of event space. Area Info – This neighborhood is a great choice for travelers interested in relaxation, restaurants and friendly locals – Check location Excellent location – show map Guests loved walking around the neighborhood! 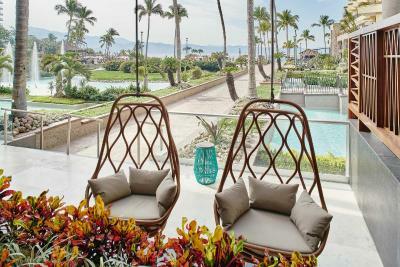 House Rules Marriott Puerto Vallarta Resort & Spa takes special requests – add in the next step! 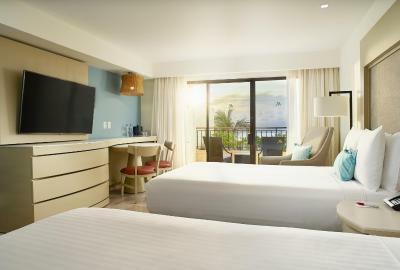 Marriott Puerto Vallarta Resort &amp; Spa accepts these cards and reserves the right to temporarily hold an amount prior to arrival. 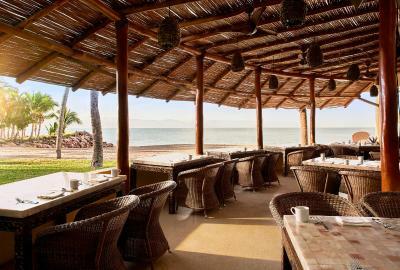 Marriott Puerto Vallarta Resort & Spa accepts these cards and reserves the right to temporarily hold an amount prior to arrival. The pool will be closed for renovation May 13-July 15 2019. 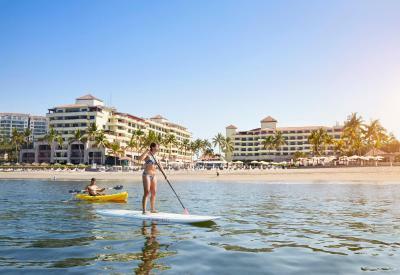 Enjoy the resort's complimentary paddle boards and kayaks during the pool renovation. The staff didn't speak fluent English, although hotel has a lot facility, but they didn't show us all the facility and location,so we only use half of them, it very waste. The check in time is late and check out time is early, so we can't really enjoy the room too much. We paied the room with breakfast, however , due to the staff mistake, we had to check again before we ate, which was quite annoying. Also, I asked for the cake to celebrate my brother's birthday, which they promised me but didn't deliver. 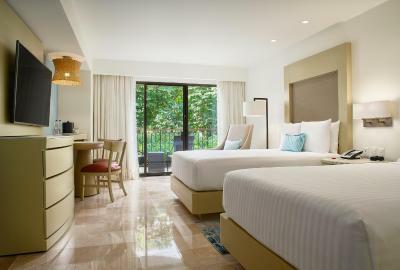 The room is clean and comfortable, the swimming pool was good. Location wasn’t the best But you can get a cab very easily. Have to get up at the crack of dawn to get a good spot by the pool during busy times. Nothing not to like there. This resort was much noisier than I expected it to be! It wasn’t quite the peaceful stay I had hoped for. I’m sure there are other hotels in the Marriott family that I would enjoy, but this wasn’t it. Room service was a little pricey. Maybe this already exists, but a few more games/activities? A board game check-out, pool tables, stuff like that. The hotel made us purchase items that we didn’t ask for. They said we had to purchase. We don’t drink. alcohol coupons and Tequila tasting coupon as well as gym payment. And that every guest has to buy them. Because Booking.com left them out. Pool was great. Service good. The extra 15$ a day pp for coffee, water and two free drink tickets. This was not necessary. The sunsets from the pool were amazing! The staff were all very kind. Was told that I could not have a room with two beds bc I didn’t book directly with the hotel. Also was told that late check out wasn’t available for me. I had no idea there could be crocodiles in the beach water. I was so jet lagged the first 2 days I didn't see the danger sign at the beach. But I swam in the water for 2 days and I am grateful nothing happened. The water was not clear and it was rough while I was there but it felt good to take a dip. After swimming at Yelepa and other beautiful beaches, I would never swim at the hotel again. Don't want to have to worry about the crocodiles...and there are so many beautiful beaches you can get to for cheap....the only other issue I had was that I thought I booked a room with a tub. It says in your ad shower/tub combo. I am a tub person....When I went back to the desk they told me they were sold out and did not have a room with a tub. This is false advertising online. please clear up. 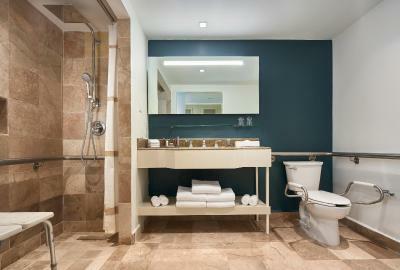 I loved how clean, beautiful and spacious the hotel is. Staff was excellent. Food and ambiance divine! I loved the decor and waterfalls inside the hotel. The infinity pool was fantastic and the hotel spa was one of the best ones I ever went to. I also worked out at the gym which had perfect equipment. It never felt crowded and there was always a cozy comfy lounge chair in shade or in the sun for you. i liked how you can use as many beach towels as you needed and leave them anywhere. I loved all the plants and flowers and fountains. The Casitas restaurant had the best sunset and best food. I also loved the other restaurant The Mikado. The deli was opened late and also had tasty food. There was even an ice cream station at the hotel. This was one of my most favorite hotels for the price I paid. I loved that you can walk to the Marina and eat great food there too. I took a great sailboat tour from the Marina and Whales breached around our boat. The hotel elevator always seemed to be waiting for me and all the hanging chairs and couches at the lobby were so comfy. I felt very relaxed and loved the hotel cat and hawk that came to visit. I liked the fresh coconut drinks too. We found two large roaches in the bed at two different times. Even after fumigarion. People allowed to reserve chairs at the poolside even though signage says you can't. Witnessed staff members putting out towels for a specific group for a group that didn't show up until mid afternoon...saw people putting out towel for 7 and 8 chairs and then no one coming to use until noon or later..staff did not remove..yet people coming could not find a chair to use. Rooms very clean ..service good..beds comfortable..proximity to all the choices at the marina..ate at a different place every night..